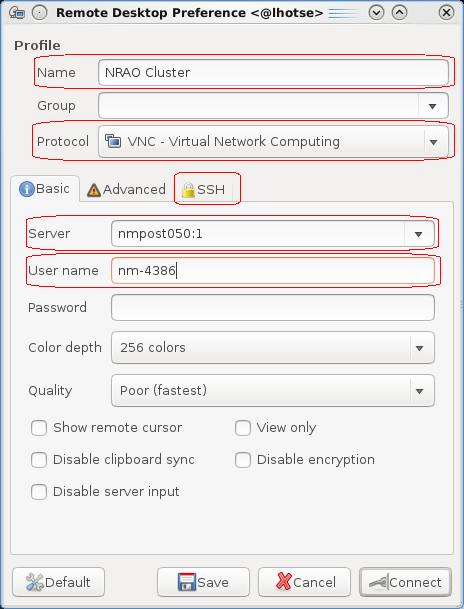 While ssh will work fine if you are on the internal NRAO network, if you are trying to display things from a remote site we recommend using VNC. 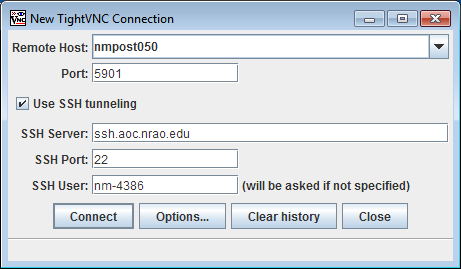 From your local machine, login to the ssh portal ssh.aoc.nrao.edu with your username (e.g. nm-4386). Skip this section if you are physically at the NRAO. Install PuTTY, fill in the Host Name field and click Open. The 1 in this example is your session. You will need this number later when you use your VNC client. 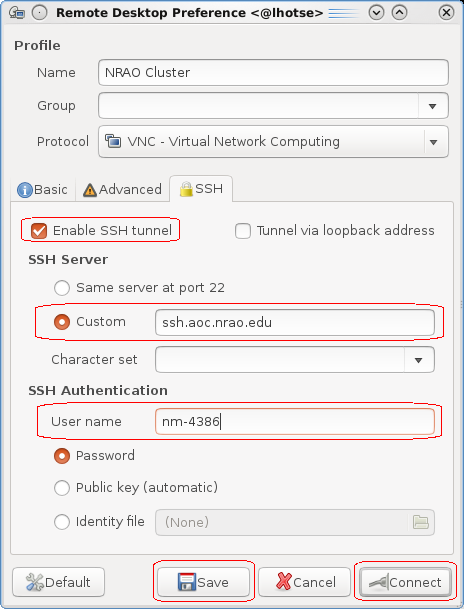 Check the box for Enable SSH tunnel, select Custom and set it to ssh.aoc.nrao.edu, set the User name (e.g. nm-4386), click on Save. The window will disappear (Ubuntu 16+) so then right-click on the entry for this connection in the main remmina window and then choose and then Connect. Open the Applications folder then the Utilites folder then double-click on the Terminal application. In the terminal, start an SSH tunnel like below. In the following examples, 5901 is derived by adding 5900 to the session number from above. Skip this step if you are physically at the NRAO. You will be challenged for the VNC password you set up (likely at the time you launched the vnc server). 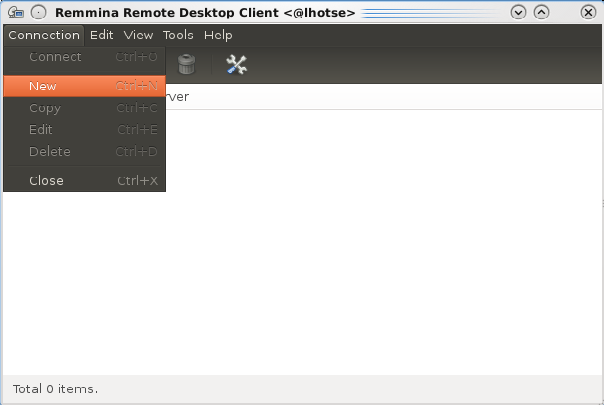 Use a VNC client like the Java Viewer from TightVNC with the following setup. The port number can be found by adding 5900 to the session number. So in the above example, with a session number of 1, the port will be 5901. If you are physically at the NRAO, leave the "SSH Server" line blank.